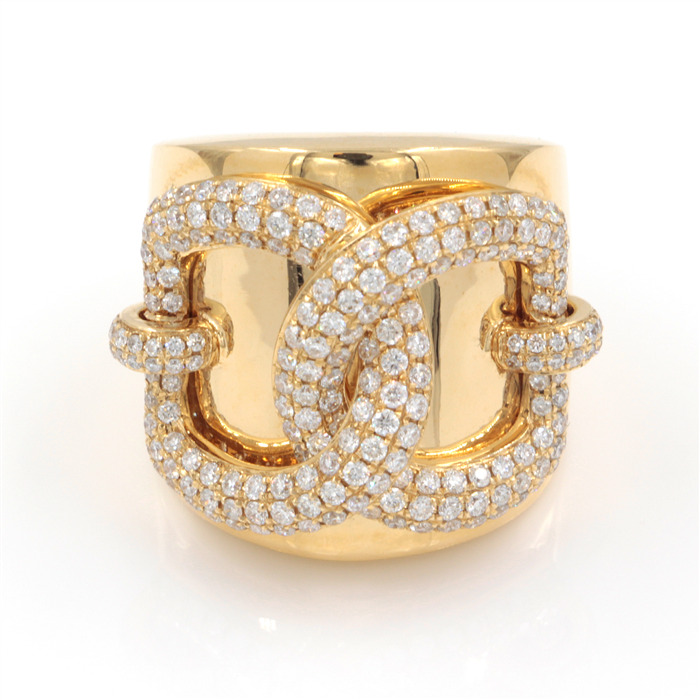 A fabulous bold addition to your cocktail ring collection. 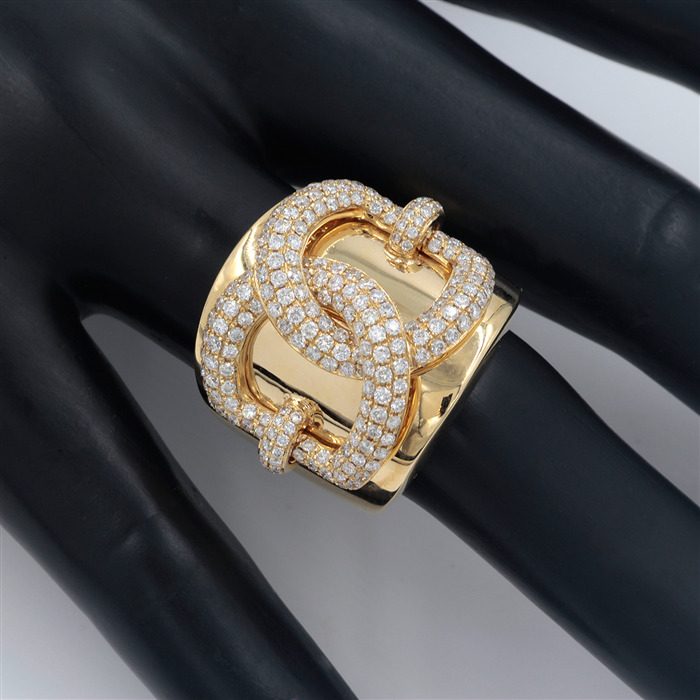 This 18K yellow gold ring is set with 2 interlocking links accentuated with sparkling diamonds. Also available in rose gold.